Do I have savings goals? Knowing how much you want to save and why can help you stick to a plan. For example, if you have a young child, ask yourself if you plan to help pay for college. Research indicates that children who have a college savings fund are more likely to go to college than those who don’t. Start by looking at "529 plans" sponsored by your state (typically with cost and tax benefits for residents) and compare them to other 529 plan options. Learn more about college planning at www.studentaid.ed.gov/prepare-for-college. Also try to pay less in interest. For example, if you have multiple loans, pay off the ones with the highest interest rates first. And, regularly reviewing your credit report and correcting errors (see Refinancing Loans: Not Just for Mortgages) can result in considerable savings on loans and insurance policies. For more about saving money on loans, see Saving Money on a Mortgage, From Start to Finish and Refinancing Loans: Not Just for Mortgages. In general, the longer you plan to keep money invested and the greater your tolerance for volatility, the more likely these investments can help you reach your targets. 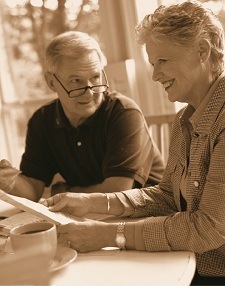 To learn more about ways to save, see resources from more than 20 federal agencies, including the FDIC, at www.mymoney.gov. * Previous text describing the U.S. Treasury Department’s “myRA” (myRetirement Account) program has been removed because of the phaseout of the program in late 2017.